National Assembly Defense Committee starts the examination on budget. 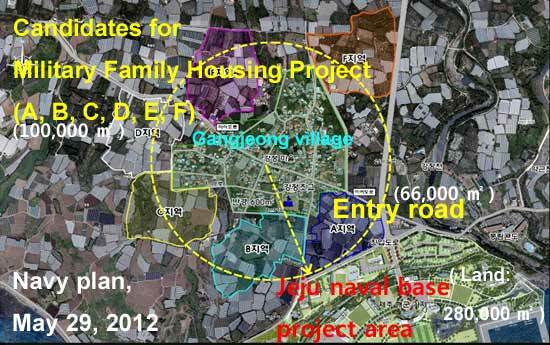 Cut the budget for the Jeju naval base project! [Nov 5] National Assembly Defense Committee starts the examination on budget. Cut the whole budget for the Jeju naval base project! Photo source: See here. The Youth group called ‘100,000 Young People for the Peace of the Jeju,’ is actively working to cut all the budgets for the National assembly. They call for the budget for people’s welfare instead war base. The photo is the press Conference on Nov. 6, 2012. The group has submitted the No. 1 petition against the Jeju naval base project to the new 19th National Assembly on June 5 this year with signs by more than 27,000 people. The National Defense Committee of the National Assembly starts the examination on the government budget included of Jeju naval base project next year on Nov. 5. The committee is composed of 9 members of the ruling Saenuri Party (New Frontier Party), 7 members of Democratic United Party and 1 independent. See here. On Nov. 5, the Gangjeong Village Association, Jeju Pan-Island Committee for Stop of Military Base and for Realization of Peace Island (26 groups) and National Network of Korean Civil Society for Opposing to the Naval Base in Jeju Island (125 groups), delivering the defense committee 19 page ‘opinion statement for the budget cut on the Jeju naval base project, 2013’ strongly demanded the whole budget cut on the project, 2013. See here. Among them, 10.1 billion won (5%): Military residential house (outside barracks). 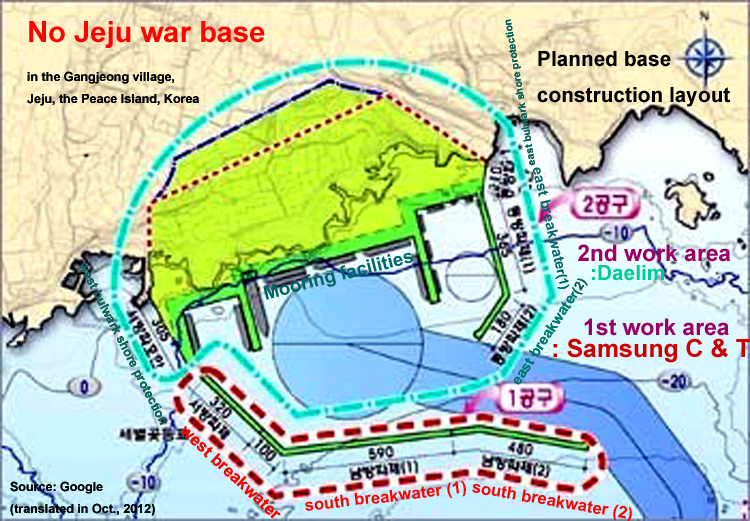 (* In detail: The navy plans to use about 9 billion won for the purchase of land and 1 billion won for layout. It is the budget to build 616 households military apartment for the soldiers and their families in about 100,000 square meter size land. However, the navy presentations on the military residential house have been all dissipated because of the villagers’ strong protests on May. 29 and June 15, 2012. About 90% of the villagers who live in the land area that is chosen as the most probable for the military residential house have also submitted their opinion statement that they oppose the navy’s purchase and expropriation of their lands. The navy has violated the recommendation items of the Budget and Balance Special Committee of the National Assembly, in 2008. 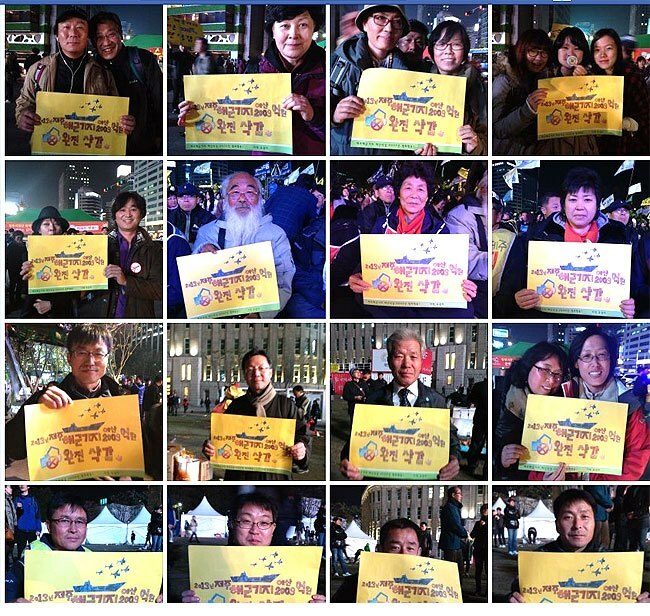 The Jeju Island and Island people demand verification on the current base layout. The Island people and villagers oppose the project and there is possibility that the construction would be stopped. The suspicion on the unreliable production of caissons that would be used for harbor and bay construction therefore the suspicion on the unreliable harbor and bay construction, as well. The people demanded to stop whole construction until verification is completed. 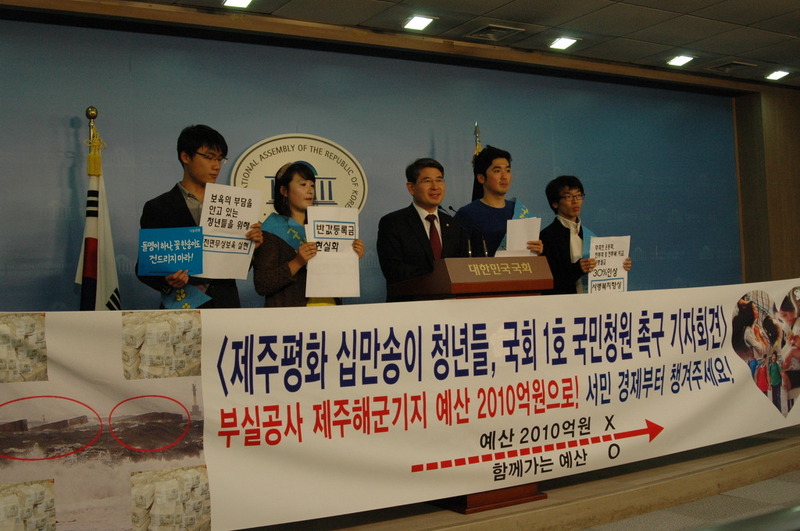 Three Jeju-based National Assembly members, Kang Chang-Il, Kim U-Nam, and Kim Jae-Yoon(all Democratic United Party) and a Jeju-origin National Assembly woman, Jang Hana(Proportional representation of the Youth, Democratic United Party) havel expressed their positions that the budget for the Jeju naval base project, 2013 should be cut. 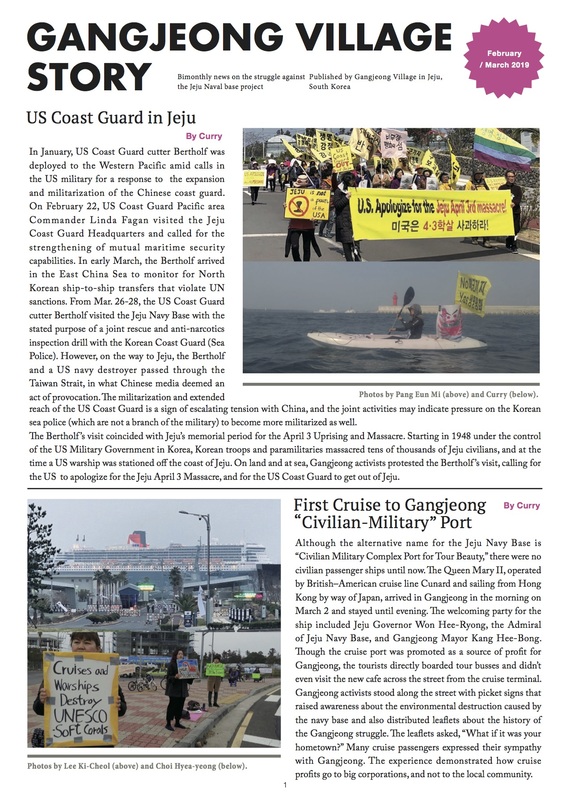 Otherwise, for reference, While the government attempts to blind people with the false promise of local economic development with the Jeju naval base project, Park Ki-Hak, Research Institute for Peace and Reunification of Korea has written last year that the Jeju naval base would seldom help local economic development of Jeju. See here.